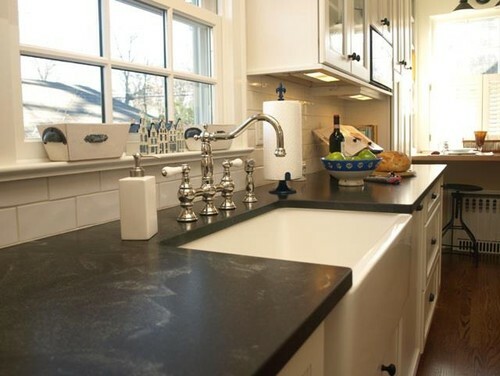 The increasing demand of granite in kitchen countertops and bathrooms has led the people to choose among different types of granite countertops. 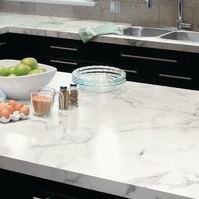 One such countertop is honed granite which is for the people who like the look of granite but not its shine. Honed granite has a soft collection of colors which does not shine like the usual granite and are not glossy. But if you want something between the glossy look and the dull color of granite then you can use a color enhancer. 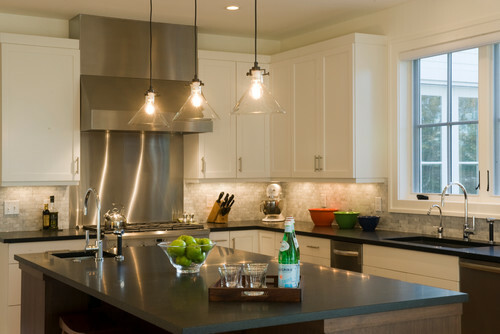 Honed granite reflects only a small amount of light. 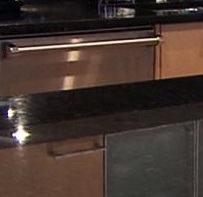 Scratches are not visible on honed granite surface as it hides almost every scratch. Honed granite is a type of granite only, so it is also a scratch proof material. Being a scratch proof material it is still recommended to use a cutting board while cutting. In honed granite finishing can be done in various ways from little glossy to no glossy, it often has that velvet touch and is smooth. 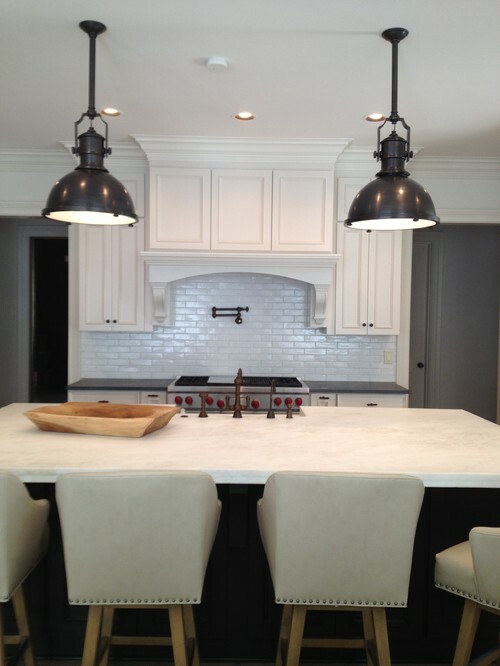 Generally people like to go for a matte finish which is not glossy while choosing a honed granite countertop. It helps to give your home a more farmhouse or vintage look which is quite cozy and unique look to go for. Many types of honed granite finishes are there, like satin finish, velvet finish, diamond smooth finish, and machine smooth finish so choose wisely between them. It is easy to clean with a wet cloth and then drying it with a dry cloth to prevent spots. 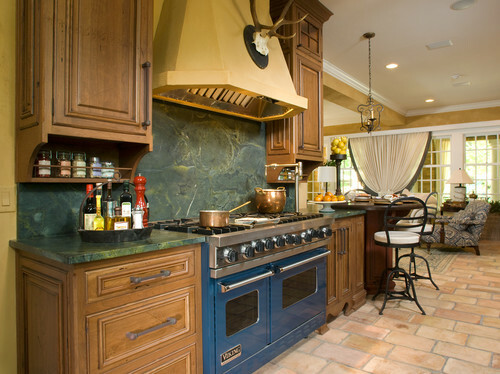 Being granite it is scratch resistant so dry stains can be cleaned with a knife. It is less slippery than the polished granite so it is used for floors and stairs. It is more prone to stains and requires more maintenance. The polished surface acts as a protective layer and repels most of the stains and spills. In case of honed granite the surface does not have any protection layer that repels the spills and stains so mostly it absorbs almost every spills. Acidic liquids like citrus fruit juices, alcoholic beverages and soda causes the surface to etch. If you do not oil your honed granite countertop then dust, grease and fingerprints will be seen easily and it would be difficult for you to remove them. In that case you will have to use a color enhancer to minimize the dark spots and fingerprints. Honed granite does not have the shine that a polished granite has and that can make your countertop look very simple and plain at times. 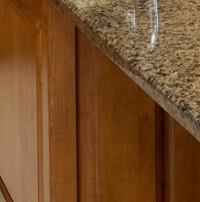 The polished granite adds a glossy element to your kitchen and makes your kitchen look noble. 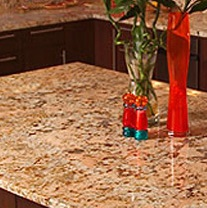 Less variations in colors are available, unlike polished granite which has many bright and glossy colors available. Absorbs oil and water easily if not sealed with penetrating sealant time to time. 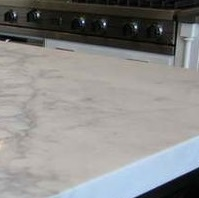 If you do not seal it, then it will absorb oil and develop spots or may even cause discoloration of the countertop. Sealing the honed granite is done more frequently than the polished surface .